PLANO, TEXAS — The National Insurance Restoration Council (NIRC) certifies Crest Exteriors as Silver Certified Contractor. Crest Exteriors is full service contractor providing residential and commercial property owners with roofing repairs and and gutter, window, door, siding, skylight installation and exterior painting services. In addition, Crest Exteriors provides storm, wind, and hail damage assessments and repairs. NIRC member accreditation includes a stringent screening process and adherence to high ethical conduct and workmanship. “We are excited to join the NIRC. The NIRC consumer and contractor advocacy is really making waves in the insurance restoration world, and is a win-win for both contractors and the consumer. As an integral part of our mission statement, Crest Exteriors is committed to providing exceptional customer service, right in line with the NIRC mission,” says Sam Struthers, CEO of Crest Exteriors. The expert team at Crest Exteriors provides the quality roofing and exterior services to property owners in the Dallas and Fort Worth Metroplex including Tyler and Denver. Crest Exteriors proudly utilizes GAF, Tamko Building Products, Atlas Roofing Corporation, CertainTeed, Firestone and Owens Corning products. Crest Exteriors is dedicated to helping property owners through every step of the insurance restoration process with top quality materials. Crest Exteriors provides free estimates for property owners and works with insurance companies, ensuring that the best possible service is rendered for their customers. “The NIRC is proud to welcome Crest Exteriors as a Silver Certified Contractor. Our members continue to raise the bar throughout the industry through their excellent workmanship. Texas has a lot of storms, a lot of contractors and construction companies, and Crest Exteriors is a very reputable contractor in Texas,” says Joe Radcliff, CEO and founder of the National Insurance Restoration Council. The NIRC monitors and tracks case law to improve the insurance restoration industry for construction companies, contractors and residential and commercial property owners affected by storm damage. 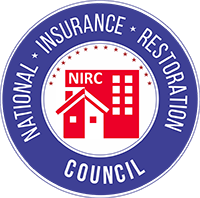 Certified NIRC contractors adhere to a strict code of professional conduct and educate property owners about the insurance restoration process. The NIRC prestigious certification and stringent vetting protocol has set the industry standard for contractor screening and consumer protection throughout the nation. At Crest Exteriors, we simply don’t cut corners. Not with our suppliers, roofing products or our staff. We specialize in roofing, siding, gutters, windows, skylights, and exterior painting. We only install quality products backed by major manufacturers, and we only employ qualified individuals who are educated, experienced leaders in roofing. Crest Exteriors hold an A+ rating with the Better Business Bureau, Silver Certified Contractor member with the National Insurance Restoration Council, and 2016 Best of the Best Award Winner. Learn more at http://crestroof.com.